Are you looking for a cute unique way to dress up your Thanksgiving place settings? How about your classroom Thanksgiving celebration? 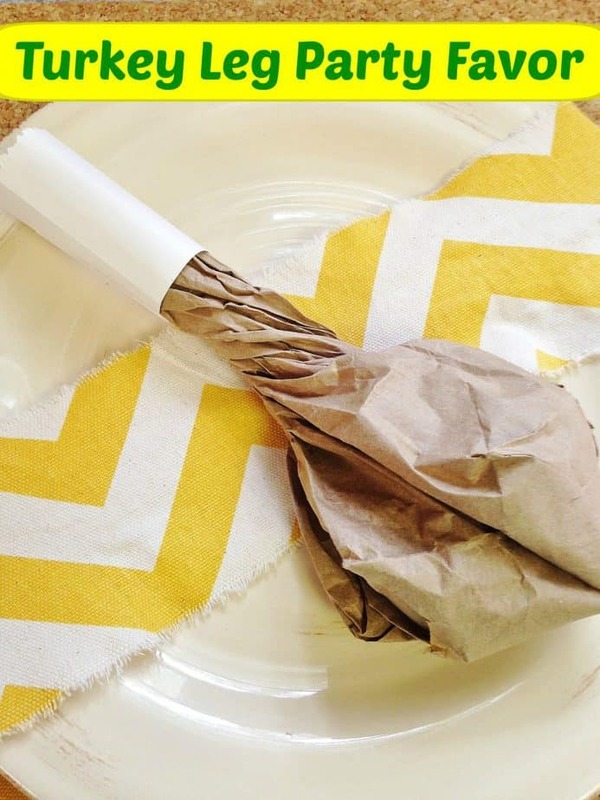 Check out these SUPER easy and inexpensive turkey leg party favors which can be customized to your budget and theme!! These turkey leg party favors not only look so silly but they taste pretty sweet as well! Inside you can fill them with the sweets (or not so sweets!) of your choice! 1. Begin by filling the brown paper bag about 1/4 of the way full with candy or other choice of treat. 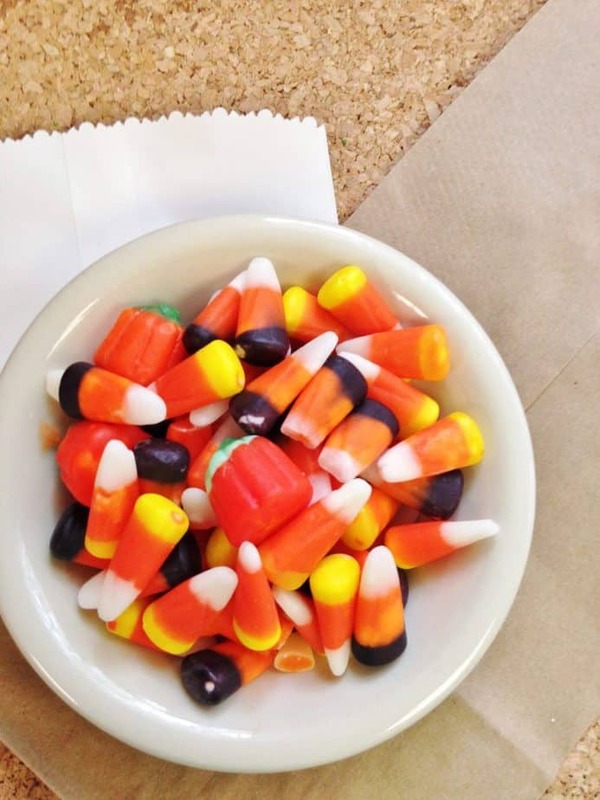 We used candy corn since they are fall themed but you can easily use popcorn for a less sugary option! 2. Next twist the paper bag closed – don’t be afraid to twist it all the way down! You will see the turkey “leg” shape starting to form. Twist tightly so the candy or treat stays secure! 4. Your turkey leg party favor is done!! Now you can simply place it on each guest’s plate, pass them out at the party, or use it to decorate a “platter” however you wish! 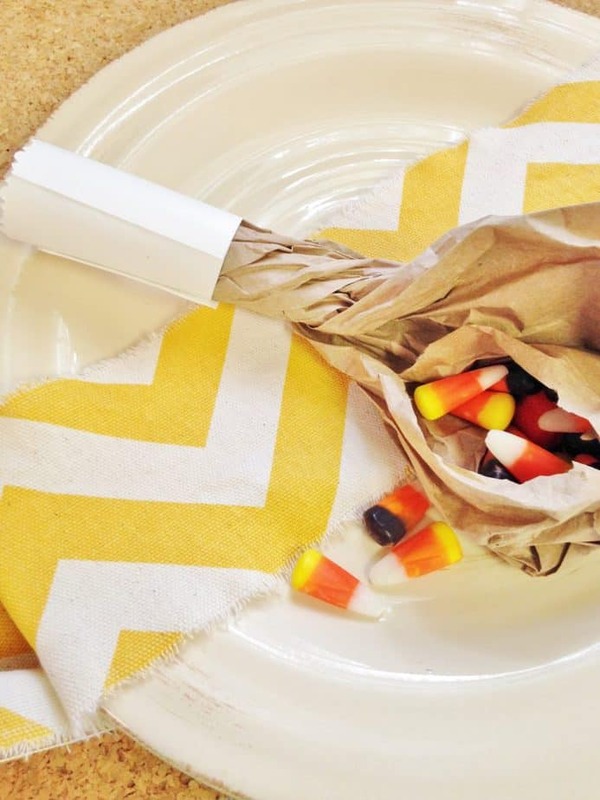 Kids will easily be able to untwist or tear into their turkey leg bags for their treat! This is such a FUN, CHEAP, and creative way to enjoy the Thanksgiving season!